One of the great joys of reading science fiction is the worlds writers create. Sometimes I remember these long after I have forgotten the intricacies of the plot or the caprices of the characters, whether Frank Herbert’s dunes of Arrakis or oceans of Caladan, Greg Bear’s shifting landscape of Eon, Larry Niven’s daunting Ringworld, or Jack McDevitt’s precarious planet Deepsix. True world-building, whether science fiction as above, or fantasy (e.g. Lord of the Rings, or its more contemporary companion Harry Potter, or the more recent Game of Thrones), takes years of conception and crafting, building not only an environment, but a culture that fits that environment. This is where books can go further than film or television series. The latter in particular (obviously due to budgetary reasons), from Star Trek to Stargate, are often let down by having many episodes shot in a familiar Earth-bound setting, from scrub-land to desert to forest. Fantasy is similar, hankering back to an undefined ‘Middle Ages’ environment of lords and ladies, knights and peasants. Perhaps this is why the film Avatar was so successful – probably anyone who has seen it will remember the alien forests and the floating islands – the film had a visionary director and sufficient budget and computer graphics capability to transport us, for a couple of hours, to another realm. I’m hoping Prometheus (seeing it next week) will do the same. As an author, I don’t spend years on this aspect. But I do like to experiment with potential worlds, sometimes at the limits of possibility, to try and make the reader think “hey, that could be interesting”. Here's a short extract from Eden's Trial, where Pierre has just arrived in orbit around the Ossyrian homeworld. Pierre’s quicksilver eyes gazed through the space-portal. 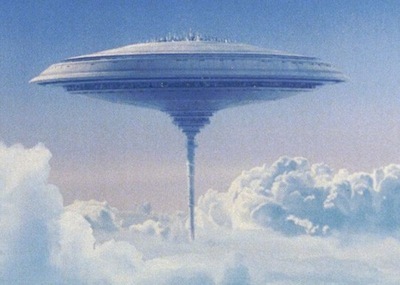 The pearl-coloured home world of Ossyria Prime, the Galactic home of medicine, grew larger. It appeared as if it had been cut into a dozen horizontal slices, then re-assembled. Each section turned at a different pace, creating a hypnotic effect. He saw no large masses of water: he’d gathered from the Omskrat orb – his handy Ossyrian encyclopedia – that water was largely underground, and only occasionally precipitated in precise locations via environmental control satellites. It took him back to a forgotten childhood – it was the most beautiful marble he could ever have imagined. 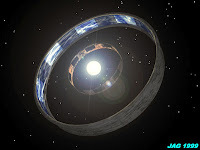 In many respects it was the inverse of a Dyson Sphere. Humanity had long ago conceived the idea of constructing a sphere of immense diameter around a small star, creating a self-contained world within the Dyson shell, with effectively infinite energy supply. The Tla Beth had gone one stage further and built a home inside a sun – well, a supernova to be precise. Pierre looked upwards towards the reflective shield, indigo in colour, shading the inner asteroid-sized planet in permanent twilight. He had no idea how it worked, but as a defence it was ingenious; even star-breaker weapons were unpredictable against a supernova, and nova bombs would be a self-evident waste of time and energy. The ground was smooth granite. With each step its marbled blues and greys swirled, as if the floor was alive, reacting to him. He guessed what it meant. The entire surface was receptive, recording and processing everything. Ukrull had once told Pierre that the highest intelligence was pure perception; apparently the Tla Beth placed a high value on data and information. He’d expected a grand city. The Tla Beth were legendary in Grid Culture, and also mysterious, leading to many fables and artistic renditions of a fantastic crystal metropolis in golden skies where they might live. But after an hour of walking, something he relished after being cooped up in the Ice Pick for months, he had seen no structures whatsoever. Ukrull filled him in. “Tla Beth energy creatures. Ephemeral. Self-sustaining. Entire planet tech. Makers. If need, supply. Power no problem here,” he said, flicking a claw skywards. Pierre did the rest of the math: the ‘planet’ must have an inner core of exotic matter, so the ‘makers’ could fabricate anything – ships, weapons. It could then shrink as the matter was converted, and local gravity would be updated. No, he thought, the Tla Beth themselves were probably tolerant to massive gravitic shifts – it wouldn’t matter to them. He gazed down at the whorls around his feet and understood. The flooring was creating local gravity for him and Ukrull. It represented yet another defence mechanism against uninvited invaders. My only rule for exotic worlds is that they have to be at least feasible (The Tla Beth are an ancient race with incredible technical prowess, and exist largely in energy form). Such a world would not be favoured by so-called ‘mundane science fiction’, which prefers not to speculate beyond what today’s understanding of physics would tolerate. Not sure Einstein would have agreed with such blinkering, and as a reader I like to have the bounds of my imagination stretched. The other rule is that there has to be an implicit relationship between a world and the people or aliens who live there. In my short story The Sapper, essentially a crime mystery, events unfold on a floating island above old Manhattan. The mechanics of this sky city are not dwelt upon in the story, other than engines are referred to. What I do mix into the story is that only the extremely rich live on these islands – which are being systematically brought down by a terrorist (hence the title of the story: a sapper is an military engineer who brings down buildings, bridges, etc.). What the reader ‘gets’ is that it takes fantastic resources to keep the islands afloat, and that in this unspecified Earth future, the divide between rich and poor (living down below in awful post-war conditions) is far more polarised than today. This gives the piece (and the reader) a ‘social rationality’, even if the physics aren’t explained. The only other rule is to have evocative writing which is highly visual. Here’s an excerpt from the opening of The Sapper, as the Inspector, who doesn’t realise his own life is in jeopardy, arrives for the first time at one of the sky cities targeted by the sapper. Chief Inspector Alexei Gregorovich sat in the copter, absently stroking the antique fob watch that never left his side, passed down from his great grandfather. The two-man craft hovered still as a humming bird, awaiting docking clearance. He leaned forward until his brow touched the cool glass window, and stared down at New Manhattan Island, one of ten fabled sky cities. Like most people down below, Alexei had never seen one in real life before. Poised just above the cloud layer, it really looked like an island. Synthetic vines straggled over the terrace’s edge like seaweed, drooping into the sea of water vapour. Azure swimming pools, each covered with a transparent pressurised blister, glittered near the island’s edge. Closer in, four steel towers guarded the central tetra-glass pyramid. The island hung motionless and serene, three kilometres above ground level, directly over old Manhattan, which never saw sunlight. He tried not to think about the power requirements keeping it floating there, when down below brownouts occurred almost every evening. The powerful, the rich and the beautiful lived in sky cities, where there were no mutations; a rad-free zone. And this one would all come crashing down in the next hour unless he stopped the terrorist known as the Sapper, nicknamed after the quaint term for an engineer who undermines buildings. The Sapper had downed two islands in the past month. Alexei spotted two stealth drones buzzing like honey bees around the island complex. He glanced upwards, knowing geostationary satellites armed with lasers could take out any missiles fired at the island. The perma-cloud below concealed automated and fully-armed fogships, always listening, probing with their radar. God help anyone who ascended above base level without the proper security codes. For the (free) full story of The Sapper, published in Piker Press in 2011, click here. 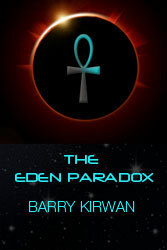 The Eden Paradox is available in paperback and ebook from Amazon, Barnes and Noble, Ampichellis and Waterstones (UK). Eden’s Trial is available from Amazon in ebook format, with the paperback version due to be released by publishers Summertime in the Autumn. Eden’s Revenge is due out Xmas 2012. It has been immense fun, and sales have ticked along with the occasional spike and foray into the top 10 SciFi ebooks on Amazon, and some great feedback both from Scifi enthusiasts and non-SF readers alike, which keeps me going as I plough ahead with the finale, Eden's Revenge. I won't say too much about it, other than that even if humanity isn't the smartest kid on the alien 'block', we're going to play a pivotal role in a war which could end all life in our galaxy. At the start of the series, in The Eden Paradox, almost no alien races have heard of us. By the end of Eden's Revenge, that's definitely going to change. A couple of weeks ago one of my ebooks (Eden’s Trial) was made free for 3 days. During that time it went from selling one copy every two days to 1400 downloads in just three days. It is science fiction, and it went from being #350,000 on Amazon, to being around #800, and from being nowhere to being #3 in SF on Amazon in the UK and #10 in SF in US. In this blog I’ll cover what we (myself and the publisher) did, why we think it worked, and what happened afterwards. First, it is important to note that this is the second book in a trilogy, the first (The Eden Paradox) was published in February 2011 as an ebook (and in October 2011 as a paperback), and the sequel was published in December 2011 as an ebook. So, my publisher (Summertime) decided to do the 3-day sale and it was a very last minute thing, so I simply tweeted about it several times a day, using various hash-tags like #SciFi, #Science Fiction, #ebooks, #kindle, #SpaceOpera, #Writing, etc. The spike was incredible to watch. It suddenly broke the #10,000 Amazon ranking for the first time, hitting #8,000, then #6,000, and broke into the hundreds by day 2. I don’t know what the actual peak was, but I saw it less than #500. Meanwhile, in the Amazon genre rankings, it got to number 3 in UK in Scifi, number 1 in Germany in Space Opera, and number 10 in the US SciFi category. I suddenly found my book rubbing shoulders with some impressive titles. Even if it was brief, it was nice to say “hello”. By Day 2, something interesting happened. Book 1 began to spike, and sold close to 70 books in two days (these were actual sales, since this one wasn’t free). In hindsight it is obvious what happened: people downloaded book 2 for free and realised it was a sequel, then saw that for a few dollars they had book one in a kind of ‘2 for 1’ deal, and they snapped it up. This continued for about a week. When book 2 became ‘un-free’, it slowly trickled back into the #6,000 mark in the UK, then hovered there for a while before heading back to the >10,000 region. Having shifted 1400 free copies, after the ‘rush’, 35 copies were sold in the following week, similar for book one. At the moment both books are settling back down. The reasons for any spike at all can’t be taken for granted. There are many free ebooks that don’t ‘sell’, so why did Eden’s Trial do relatively well, given that it is genre fiction, and there has been no media hype, and I’m an unknown author? First, I think the cover has something to do with it, and some of the ‘headlines’ from Amazon reviews (e.g. ‘Galaxy-bending SciFi’), the brief description on Amazon, and the suggestion that it is a bit different (called market differentiation) from other SciFi (aliens are smarter than humans) whilst still being easy to ‘nail’ in the market: Eden’s Trial is ‘Space Opera’; The Eden Paradox is a science fiction thriller, falling into Amazon’s Scifi/Mystery category. If you’re an author reading this, you really have to know where to ‘peg’ your book in the market, and ensure Amazon puts it there too. A second point worthy of note, is that until the free 3 day sale, the book’s price was relatively high ($9.30) for a Science Fiction ebook by an unknown author. I have a hunch that a number of people who had perhaps read blogs relating to this book before, might have balked at the price, and so snapped it up when it went ‘free’. Good questions. From an author perspective, even if only a quarter of the people who downloaded read it, it has been a great way to get it out there to a completely new readership, who I hope may like it, and either review it on Amazon or tell others about it. I also hope a few more will buy Book 1 (and Book 3 when it comes out at the end of the year). So, what did we learn? First, if you’re selling thousands of books, you probably don’t need to consider such a course of action. Just keep doing whatever it is that you’re doing (right). Second, maybe a one-day ‘free’ sale is a good strategy – 3 days may allow too much market saturation. Third, if we do it again (e.g. with Book 3), we’ll probably build it up a bit first. Fourth, this thing does pay off if you have multiple books, especially trilogies, series, etc. John Locke in his ebook ‘How to sell a million ebooks’ [give it that title, LOL] he does point out that he pretty much got nowhere until he had five books out there. That was when things took off maybe because of synergistic buying where people saw one book and realized there were more (people like to know there is more of a good thing). This seems to be going on right now with the runaway success ‘Shades of Grey’ and its sequels, three of which were in the top 10 the other day when I looked. If nothing else, it gave me fresh motivation to work on the finale of my particular trilogy, Eden’s Revenge. It can be tough as an author spending years on a book to see meagre sales, and when a boost like this happens, for whatever the reason, it’s a good thing, for while authors need money like anyone else, what they most want is to be read. The Eden Paradox is available as paperback and ebook from Amazon, Barnes & Noble, Ampichellis and Waterstones (UK). Eden’s Trial is available in ebook from Amazon and is coming out in paperback later this year. 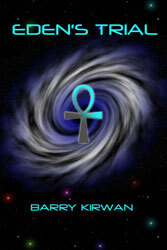 Eden’s Revenge will be out as an ebook for Xmas 2012. Kat was small in stature, had very short black hair and was introverted. Kat was shorter than the rest of the crew, but it didn’t bother her; she rarely looked any of them in the eye. Pierre had to duck his head to enter the cockpit whereas Kat walked straight through, hands clasped behind her back, avoiding eye contact with any of the crew, as usual looking as if she’d just stolen something. The first is dull, and is ‘tell-not-show’. The second is more interesting, because we wonder why she won’t look them in the eye. The third is more ‘show’, and more suggestive of her character, as if she doesn’t trust the crew or herself, though at this stage we don’t know why. Notice that 'show' is longer than 'tell', so we reserve it for key characters. There is no point (for the reader) in investing florid descriptive effort in a 'walk-on' (and walk-off) character. Micah stared into the mirror noting the matt of black fuzz on his head, and muddy brown eyes. Micah caught his own reflection, wondered why he ever bothered to comb his hair, and as for his eyes, they reminded him too much of his father. Micah gave up on the irrepressible fuzz on top of his head, and stared into his muddy brown eyes, like his father’s. They made him want to punch the mirror. The point about the third one is that it is less narcissistic, relating Micah to a strong (and evidently negative) relationship, which at the same time tells us a lot about him, and makes the reader (perhaps cautiously) sympathetic to him. The reader wants to find out why Micah feels the way he does. Vince watched Louise’s lithe body saunter around the room, her blonde pony tail swinging from side to side. She glanced back at him with a smile, her bright blue eyes sparkling just for a moment. He smiled back, but only on the surface; he’d watched those same eyes when she killed, when they sparkled just the same, maybe more. If there are more character points of view, then this has a particular advantage for describing the ‘hero’ of the piece. Having heroes describe themselves seems self-indulgent, and will make the reader less ‘sympathetic’ to the character. Even if the hero does it in a self-deprecating way, this is also risky, because then the hero becomes less heroic. Far easier to let a secondary character describe the hero. In the following extract from The Eden Paradox, Zack, the pilot of a four-person space craft, enters the cockpit and muses about the crew and their plight. One of the crew, Kat, has had another nightmare, always the same one, about what they will find when they reach the planet Eden. The point of the piece is partly backfill for the reader (this is from chapter 2) and introducing the characters, but it is also preparation for a rather harrowing scene where they will all have to depend on each other. The seeds of how they will react later are all sewn here. Zack ducked his head as he entered the cockpit the Ulysses’ chief designer had once explained to him was "compact". He squeezed past his Captain and their Science Officer – Blake and Pierre as they’d become after three months of sardine-can intimacy. Busy, as usual. Both working separately – ditto. Pierre was in virtual again, immersed by his visor in data slipstream analysis, oblivious to his surroundings. From the back of his pilot’s chair Zack caught his reflection and sighed. He’d have traded his cobalt one-piece uniform for his old flying jacket any day of the week. The one consolation was the golden-winged image of Daedalus – the wiser father of Icarus, now employed as the Eden Mission logo adorning the crew’s chests. The crests glinted in the cockpit spots, especially Blake’s, since he polished his every morning. Zack plumped himself into his servo-chair at the front of the cockpit, to the left of Blake and in front of Kat’s empty comms station. Three men and a girl in a tin can. But then he’d seen the early Mercury and Apollo craft, the Endeavour, and even the Mars Intrepid – those guys would have wept over such luxurious real estate. He fingered the two multimode joysticks that made him one with the ship, and felt his mood lighten. He couldn’t manoeuvre with the warp online, but once they decelerated… He could barely wait. He stared out at the black velvet of deep space, punctuated by random pinpricks of ice-cold light sliding towards him with a glacial grace. Constellations that’d been his friends since childhood were gone. A girlfriend had said one night, a lifetime ago, that as long as you can see the stars and their patterns, the Big Dipper and Orion, you’re never lost, you’ll always find your way home. Zack’s substantial bulk, maintained despite space rations, shuddered. He glanced across to Blake, his Captain and vet War buddy for fifteen years, studying a small-scale hologram of ship integrity. It showed the cockpit near the front end of the fifty metre long Ulysses, resembling a hornet’s body, its four sections and two back-up conical ion engines and dark waste exhausts at the rear. Zack frowned. The energy exchanges going on in the back of the fourth compartment were measured in yottawatts, off the imaginable scale. Only Pierre really understood it, but even he’d admitted that if the engineers had got it wrong, they’d be dead in a picosecond. Zack thought of the crew of the Heracles, lost with all hands. He’d known each of them personally. "Seventh nightmare in the past week," Blake said, in his Texan drawl. He didn’t look up from his display. "Yep," Zack replied. It was starting to affect morale, his own, at any rate; superstition and ill omens made lousy companions on long, confined trips. Seafarers had known it for millennia. Space was like the sea, just infinitely less forgiving. Blake swivelled his chair to face him. "Anything new?" Zack understood the implied question: was it like that screwed-up mission ten years ago, where one of their marines kept having nightmares for two full weeks beforehand? He shook his head. Blake resumed his work. Zack toggled the forward screen control and with a flick of a finger, a single star changed to red – Kantoka Minor, Eden’s star, dead ahead. One more week, he mused; one more week before setting foot on another planet. Before seeing if Kat’s nightmares have any substance. He kicked back in his pilot’s chair and pondered: neither the robot-based Prometheus nor manned Heracles missions had returned. Prometheus had arrived three years ago on Eden, but stopped transmitting after an hour. A year later, the manned Heracles had exploded, just five days before arrival, the list of possible explanations long and wild. Still, as they approached the nebula where Heracles disappeared, he was getting edgy, spending more time in the cockpit than was good for his spine; they all were. He glanced at his holopic of Sonja and the kids, smiling and waving, tucked into his console. He tried to smile back. Kat slipped into the cockpit, furtive as usual, as if she’d just stolen something. "Anything exciting happening?" she ventured. Pierre stowed his visor and responded. "I’m afraid so. I’ve been checking and re-checking for the past hour. There’s no mistake. We’re losing oxygen." Blake collapsed the holo. Kat halted mid-step. Zack reached base first. "You’re kidding, right? I mean, you have no sense of humour, Pierre, but this time?" The reader gets a good idea of who Zack is in terms of what he cares about and fears, and the way he thinks about the other crew members tells us not only about them, but about him, because he thinks about them in a kind way. When he catches his reflection we don’t see his face, because he concentrates on his uniform, and what it means to him (which also makes him a sympathetic character, because, let's be honest, many of us would be studying our own faces :-). There is a hint that Zack is a big guy, but otherwise there is no physical description of him. He is black by the way, mentioned in a previous section in the chapter. The Eden Paradox is available in paperback and ebook on Amazon, Barnes & Noble, Ampichellis and Waterstones. The sequel, Eden’s Trial, is available in ebook format on Amazon, paperback expected Fall 2012. The finale, Eden’s Revenge, is due out Xmas 2012. A lot of science fiction and fantasy movies these days, e.g. 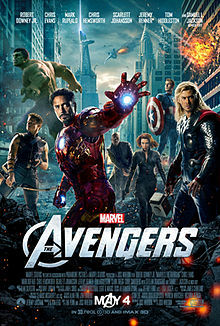 The Avengers, Locked Down, Thor, etc. are pure ‘action movies’. They survive on fantastic special effects, and comic-strip-speed events – the audience races along from one action scene to the next. They are low on ‘plot’ – the usual stakes being world survival – and character development is kept to a minimum, the favourite character being the one with the wittiest lines (usually Robert Downey Jr. as Iron Man). Books cannot be like this (though comic strips can), because we read books over a longer period, and our interest has to be sustained by what the characters feel, and the special effects are limited by those we can imagine and how vividly the author can write. But a lot of science fiction readers (myself included) do like to read action-based or thriller scifi. So, how to increase the intensity of the reading experience when the author does not have computer graphic imagery (CGI) at his or her disposal? The Lost Fleet series (e.g. 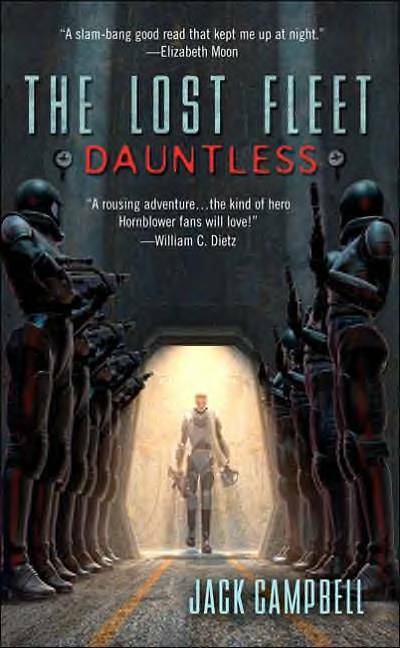 Dauntless) by Jack Campbell is a good example of action-based Scifi. It is a series of space battles to save the human race. But the main character Black Jack Geary has a lot of internal conflict going on. Campbell uses the gaps in between the battle scenes, explained by the amount of time it takes for the enemy to find Geary’s (lost) fleet, to let these conflicted emotions emerge. It slows down the action, with character development occurring before battle, and his actions in the battle reflecting that character development, so it makes sense. Each of these is a chapter in itself (I write fairly short, bite-sized chapters), and is interspersed with a chapter based on Earth, away from the ship Ulysses – this in itself increases tension and suspense, since the reader has to wait to find out what happens. It would have been easy (and boring) to have had the crew realise there was a ghoster aboard, and say, “Let’s go kill it,” have a battle scene where they nearly get killed, but then they kill it. That could work in a film because of the images that could be conjured up, and because it’s easier to ‘suspend disbelief’ for a couple of hours than several weeks, but like I said, in a book it would read a bit flat. So instead, when they first realize it might be a ghoster, I have the crew in denial. The commander (Blake) actually verbally attacks the science officer (Pierre), practically accusing him of sabotage. This delays the action, increases the character depth (and has the reader wondering if there is some deeper issue between Blake and Pierre – there is), and makes the action more interesting during the battle scene when Blake’s life will depend on Pierre. Here is an excerpt from when Zack and Pierre first encounter the ghoster inside a compartment at the rear of the Ulysses. Shoulder-to-shoulder inside the airlock chamber, Zack heard Pierre’s ragged breathing across the intercom. Pierre checked the dials. "Fully pressurised inside the compartment." Zack chewed his lip, peering through the small porthole into the darkness beyond. "Time to check on our guest." He opened the inner door to the fourth compartment. As it swung open, the light spilled in from behind them, revealing the outlines of a room ten meters deep crammed with cylinders, boxes, and crates, all strapped down. It looked just like it had done twelve hours ago when he’d checked it over. The lattice of harnesses resembled a giant spider web laid over the contents of the compartment. He stared towards the far wall, behind which the dark matter engines lay, adding to his unease. They each took one pace into the compartment and clipped their lanyard karabiners onto hull eyeholes. Zack’s gaze swept the room, but he didn’t use the flashlight attached to his left wrist. If there was anything in here, he didn’t feel like lighting himself up. Pierre’s rifle sighting beam flashed upward to the escape hatch which was their Plan B – the ghoster-overboard plan, as Kat had christened it. "Zack, I don’t see anything." Pierre took a step forward. "Wait." Zack squinted through the semi-darkness towards the crate at the far end of the chamber housing the neutralino detonator. It was one of two, the other used to start the dark matter ignition after Saturn, enabling them to get up enough speed to engage the warp shell. This one was for the return journey. Something was behind the crate. His eyes tracked to the left, knowing from theory and experience that unaided night vision worked best if you looked slightly off target. He saw it. His head recoiled inside his helmet. "Kat," he said, voice taut. "Tell me what you see through the internal cameras" He still hadn’t aimed his flashlight, instead straining his eyes towards the location of the detonator. Her reply came through, rendered grainier than usual by the voice-com transmitter. "Not much. I need more light." When Pierre went to shine his flashlight on the crate, Zack gripped his forearm. "Don’t." He was sure now, though he had a hard time accepting it. Blake’s voice cut in from outside. "Report." Zack let Pierre reply, while he began to think of tactics to outmanoeuvre what he believed was crouching just behind the detonator. He still had his hand on Pierre’s arm, and felt Pierre’s body jerk. "Sir, it… my God!" Pierre’s breathing accelerated, bordering on hyper-ventilation. Then he exhaled deeply. Zack removed his arm. Good – remember your training, because if you don’t we’ll be dead a lot faster. Pierre’s voice was edgy. "I can see a human head, but… it has no eyes." Blake didn’t respond. Zack could only imagine how he was reacting; it was Kurana Bay all over again. He couldn’t remember unholstering his pulse pistol, but it was in his hand. He ramped it up to maximum. He spoke in a steady tone. "Don’t move, Pierre. Get ready to fire." He took a deep breath, as he did before any close-quarter battle. His palms sweated inside his gloves. He gripped the pistol harder. "Skipper," he said, "it’s a ghoster alright, fully awake. Lock us down, seal us in. We’re going to Plan B." Movies often use flashbacks in order to deepen character or our sympathy for characters, e.g. during a battle when they are giving up, they recall their survival in a concentration camp, and then renew their efforts. In The Eden Paradox I used a ‘retroactive flashback’ which I call the ‘acid on the cake’ (as opposed to the icing on the cake). After the ghoster battle, there is a short flashback to when two of the characters encountered a ghoster once before, in the battle of Kurana Bay during WWIII, and what happened there. Anyone who has read the book will know this chapter, because it deepens Blake’s character, and puts the three foregoing section in a new light (a few readers have told me they wanted to read the book twice, and this plot device is one of the reasons why). So, the rule for action-based books or thrillers as opposed to action movies is that there has to be strong inner conflict as well as external conflict. However, if you do get a chance to look at The Lost Fleet or my books, or many other Scifi thrillers or technothrillers (like those by Michael Crichton), you’ll realise there’s another rule – don’t dwell too much on inner conflict, and preferably have something interrupt the character’s ruminations. Otherwise it can get too self-indulgent. Pierre thought about his parents. His father had sacrificed him to research, and his mother had consented, though she’d been upset about it. For one thing, the genetic tampering had made him sterile, so his line would end with him. He wondered if his father, when he’d been bleeding to death on that conference podium shot by an Alician assassin, had maybe, just for a moment, had an inkling of regret about what he had done to his own son. For the first time in his adult life, Pierre didn’t completely reject the hypothesis. The Hohash began pulsing increasingly frequent random shades of colour. He and Kat shielded their eyes from the rainbow light’s intensity. Pierre guessed what it was – a response. The flashing stopped, and the Hohash mirror surface turned to a swirling cloud of grey. An indistinct figure appeared in the middle, as if walking towards them. 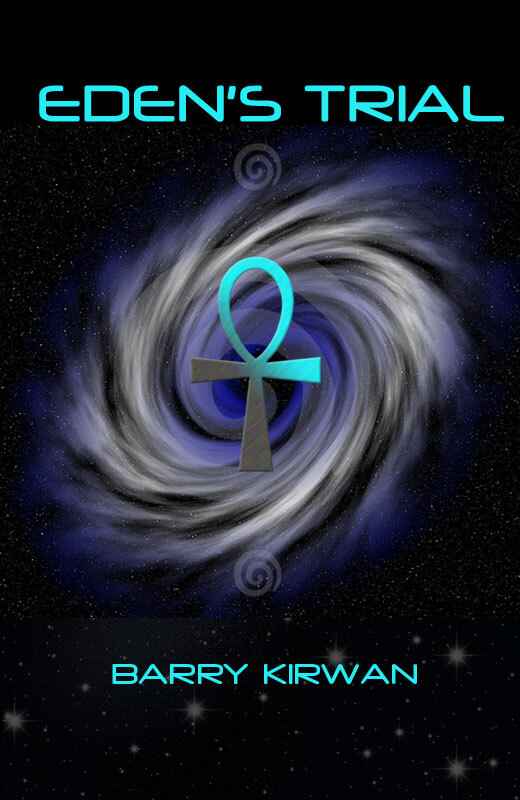 He watched in fascination as it clarified – it reminded him of ancient Egyptian hieroglyphs, a dog-like creature in a ceremonial head-dress of golds, blues and blacks. As the picture crystallised into vid-screen clarity, they gaped at the figure, who gave the definite impression of staring back at them. “No sound, remember?” Kat said. He wondered what to do. The creature stared at them, waiting, and Pierre didn’t know how long it would wait. He gestured to the creature, first with his hands, to come towards them, then, seeing no reaction, closed his hands around his throat, as if choking, trying to communicate they were running out of air. The figure disappeared, and the Hohash face re-adjusted to its habitual mirror surface. The ship jolted hard to one side, and they both sprawled to the far wall. Pierre had the wind knocked out of him, and struggled into a crouching position. Kat had already sprung to her feet when they both heard a loud thunk from above. He looked out through the normally black portal and glimpsed the silver underbelly of a vessel attached to them. At first he didn’t realise why she’d said it, until he noticed his feet and ankles were wet. A warm, transparent liquid trickled, then gushed into their craft, jetting through the air vents. Scrambling to his feet, he sloshed his way over to the environmental controls. Kat beat him to it, and slammed her fist down on it, but the console was dead. He stared in disbelief towards the four upper vents, out of arms’ reach, through which the pink water surged. “It doesn’t make sense!” he said. The noise of their own personal waterfall made it hard to concentrate. “They’re going to bloody drown us,” Kat shouted, as she waded over to the inert Hohash. “But why?” Pierre was trying to think, but the fluid was already knee-deep. “Suits! We need to put the suits on!” she yelled, already tugging the two EVA suits from their holding rack. Pierre grabbed one and tried to don it. With only one leg in, he lost his footing and fell over, so that the liquid poured into his suit, dragging him down. Kat’s hand hauled him up by the collar, and he managed to regain his footing. She already had both legs in hers and zipped it up to her neck, then helped him into his. The fluid was already waist-level. His suit had half-filled with the stuff, which he knew would be a real hazard if he didn’t remain upright. They both snapped on their helmets moments before the fluid reached their necks. They stared at each other, wide-eyed, as the whole ship flooded to the ceiling, leaving no trace of air. The gushing noise shut off. He heard only his laboured breathing, and the occasional creak from the ship’s hull. He switched on his intercom. He nodded inside his helmet. Then he noticed the single red light flashing on the inside of his faceplate. He knew what it meant: his suit’s air cylinder was almost empty. He remembered he hadn’t had time to replenish his suit’s systems since his last sortie on the sulphur planet. He shook his head. He saw another red dot flash, meaning his air was almost gone. He had maybe twenty seconds. Pierre raised his hands to his helmet, and flicked open the seals. In the third book I’m writing now, Eden’s Revenge, I’m working on a chapter where a new character, Petra, is listening to an argument which is central to the plot, but ‘tunes out’ to her own inner thoughts. This is an unusual plot device, because the reader will not ‘hear’ what the other two are saying, but instead will be drawn into Petra’s own state of mind. This creates its own tension, but the reader will (I hope) end up satisfied because in the coming battle, Petra and her actions are the key to winning, rather than what the two men are arguing over (“isn’t that always the case?” I can hear some of my female friends saying). The Eden Paradox is available in paperback and ebook from Amazon, Barnes & Noble, Ampichellis and Waterstones UK. Eden’s Trial is available on ebook from Amazon, paperback in the Autumn. The finale of the Eden Trilogy, Eden’s Revenge, will be available in ebook Xmas 2012.